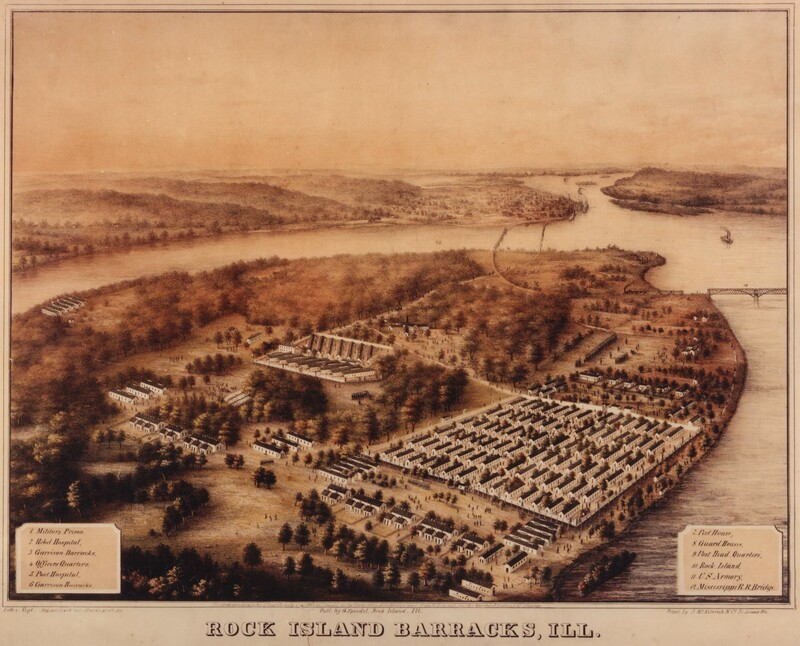 In summer 1814, skirmishes between the U.S. and British-backed warriors under the leadership of Black Hawk flared up and down river from Rock Island. Since 1803 the U.S. had owned both banks of the Mississippi River. Lt. Zebulon Pike had reached the Rock Island in 1805 and immediately recognized its strategic and tactical importance. The Rock Island Rapids raced for 12 miles upriver. From Rock Island, the Army could control the entire Upper Mississippi River Valley by controlling the rapids. 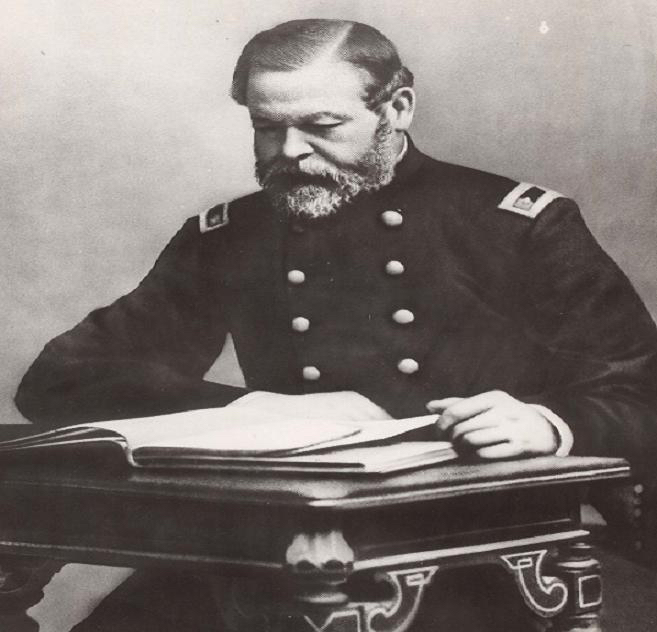 Brigadier Gen. Thomas J. Rodman, the “Father of Rock Island Arsenal,” commanded the base from 1865 until his death in 1871. 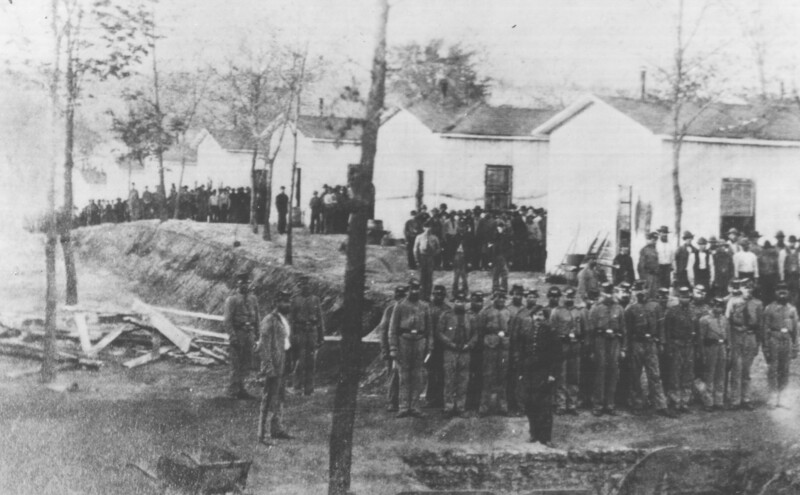 He shifted its mission from storage and maintenance to manufacturing and designed the 10 stone shop buildings and ancillary buildings that made up the “great National Arsenal” as well as the original houses. 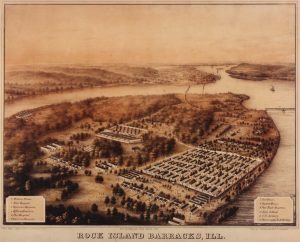 That construction was an economic driver as Rock Island Arsenal became the largest federal public works project of the 19th century. 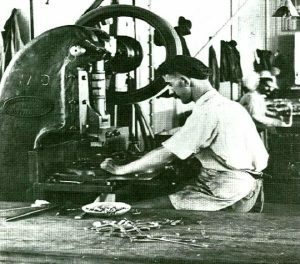 The Arsenal produced artillery carriages and caissons, saddles, eating utensils, canvas products, bayonets, and, after 1903, rifles. It manufactured, repaired and stored everything a soldier needed. 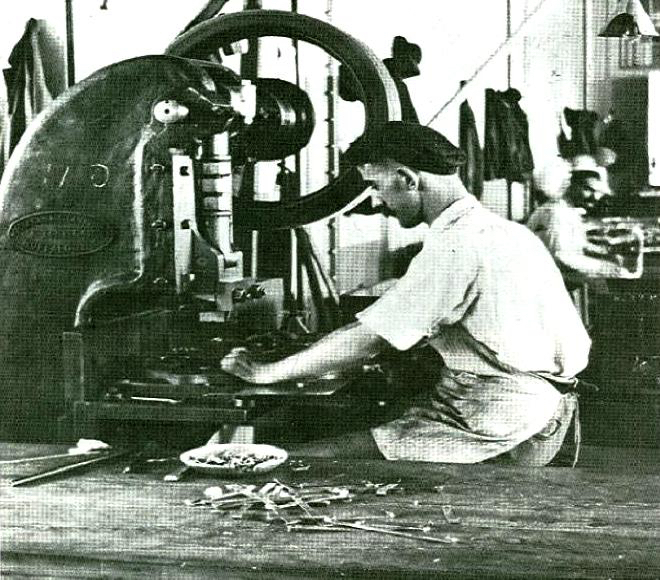 While known and respected across the armed forces for its products, in the neighboring community the Rock Island Arsenal remains an economic engine and premier employer. 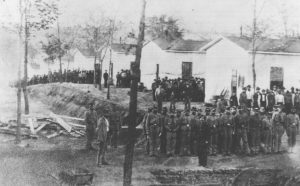 Also on the island today are a national cemetery and a Confederate Cemetery holding the remains of Confederate prisoners held on island between 1863-1865. George Eaton is Interim Director of Strategic Communications and Army Sustainment Command Historian, U.S. Army.